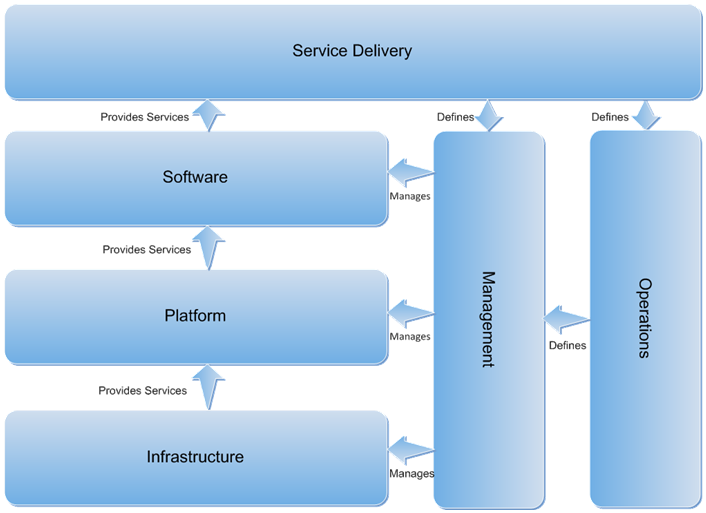 Why is Microsoft System Center integration important ? This Topic explains why Microsoft System Center products becomes more important then ever before. 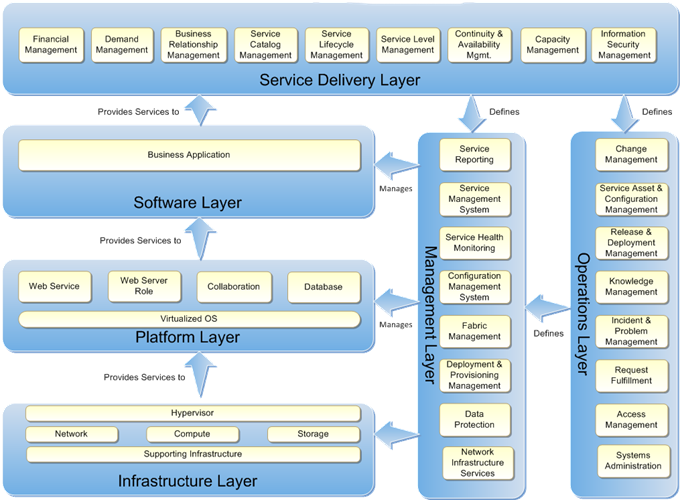 A key tenet of the Reference Architecture is that it helps IT strategists and solution architects to make good design decisions. The guidance will only cater to the difference between the best practices of traditional IT and dynamic IT. For example, guidance on designing the directory services or change management processes already exists, so we will not duplicate that but will instead highlight what is different or new for a Private Cloud. Use virtualization to abstract applications from hardware. Focus on Mean-Time-to-Restore-Service instead of avoiding hardware failure. Have a meaningful understanding of infrastructure’s health state. Automate “detect and respond” processes. Homogenize your hardware infrastructure to reduce complexity. With Microsoft Product code “Concero” you get a hybrid Cloud Managementtool wich brings privat and public Cloud togehter in one Console. 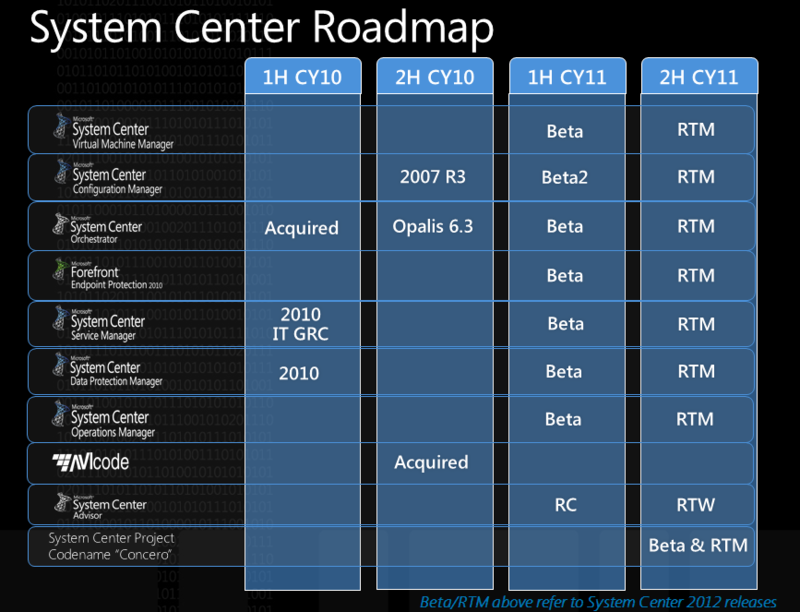 More Microsoft System Center products becomes integraded. 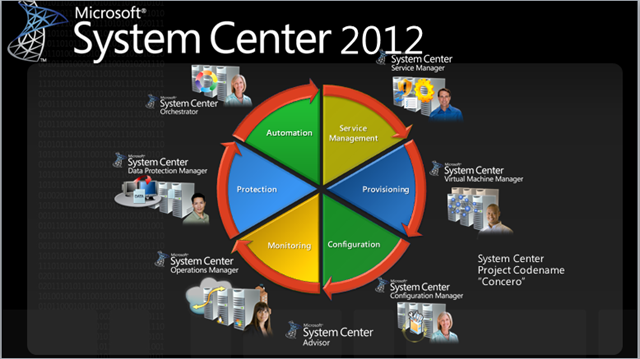 With this System Center 2012 Cycle you are ready for the future with Cloud technology. Categories: Azure, Hyper-V, SCVMM 2012, System Center 2012 App-Controller | Tags: #Concero, HyperV, SCVMM2012 | Permalink. Here is the powerpoint presentation about Microsoft System Center “Concero” wich was presented on Tech-Ed 2011 in Atlanta. For the video about Concero at Tech-Ed 2011 in Atlanta, just click on the picture above. 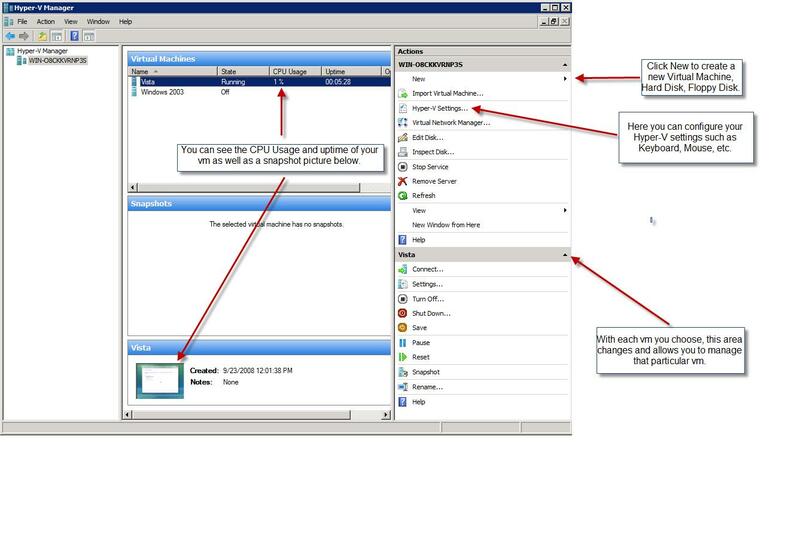 Categories: System Center 2012 App-Controller | Tags: #Concero | Permalink. This video is a preview about Microsoft Project code Concero on Technet Edge. 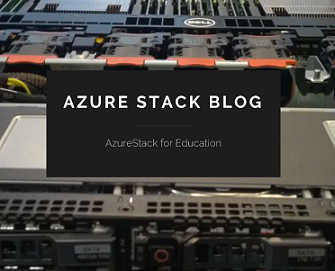 This topic is about the evolution of Virtual Machine Manager. This is a service roll in Windows 2008 Enterprise Server. 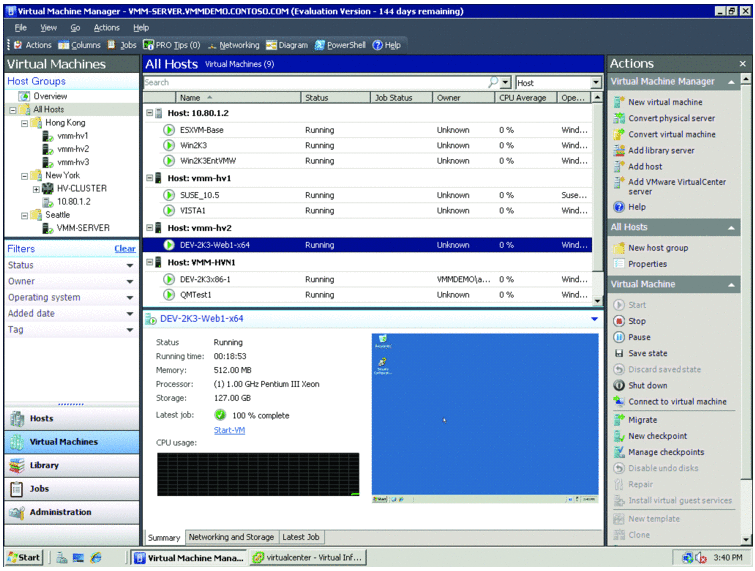 New Hyper-V architecture was released with Windows 2008 R2 Server which supports shared volume between nodes. It called as Clustered shared volume. This volume can be used by all nodes at the same time. All virtual machines located in this LUN can be started on any of the host. If one node dies virtual machine will get started in any other available nodes. And can be live migrated (like vMotion) to other available nodes. It also saved a lot of diskspace. 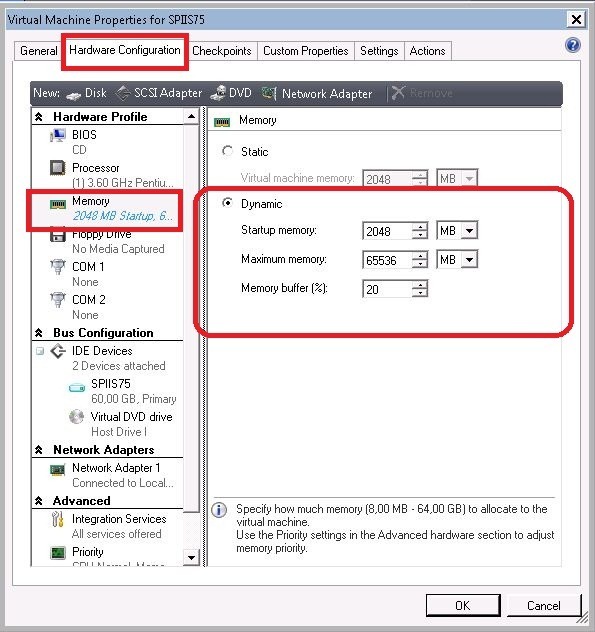 Microsoft System Center Virtual Machine Manager 2008 R2 Service Pack1 made the difference with Dynamic Memory and Remote FX. VMWare ESX Servers and Cluster Support. Citrix Xen Servers and Cluster support. Microsoft is making a big jump this year with great features in System Center Virtual Machine Manager 2012 with Cloud technology. Microsoft Virtualization developer team has worked really hard and have listened to IT professionals and Customers. Microsoft System Center Virtual Machine Manager must be High Available to manage the virtual environment on-premises and Cloud with Windows Azure, and with this we have a hybrid virtual managed environment. Highly Available VMM server. As SCVMM is core of management infrastructure for virtual environment it is really important for this infrastructure to be highly available in todays big datacenters. 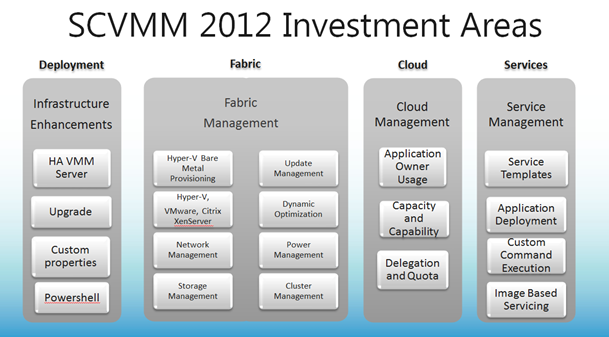 SCVMM 2012 can now manage even more hypervisors: Hyper-V, VMWare and XEN. Also it can integrate with remote management such as iLO and SMASH. One interesting thing here is also ability for bare metal provisioning meaning that with SCVMM 2012 you can provision Hyper-V even on bare metal computers withoudt much manual work. Cluster creation with storage provisioning is also one of the interesting new features. Regarding the network management enhancements, SCVMM 2012 can now integrate with load balancers. Besides that now you can also assign IP and MAC from pools. 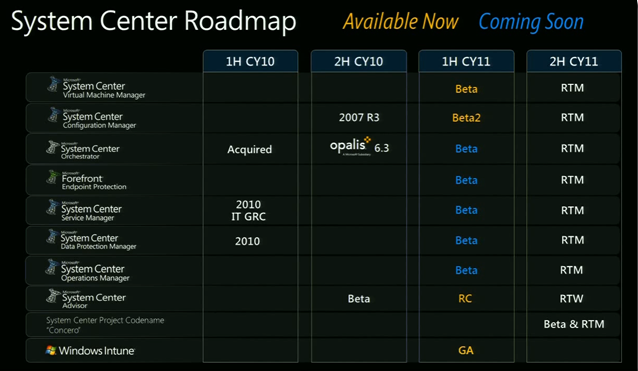 Dynamic Optimization and new Power Management features are also important updates. 3. Cloud Managementor Simple Cloud Creation. SCVMM can now abstract server, network and storage resources into private clouds, delegate access to private clouds with control of capacity, capabilities and user quotas. 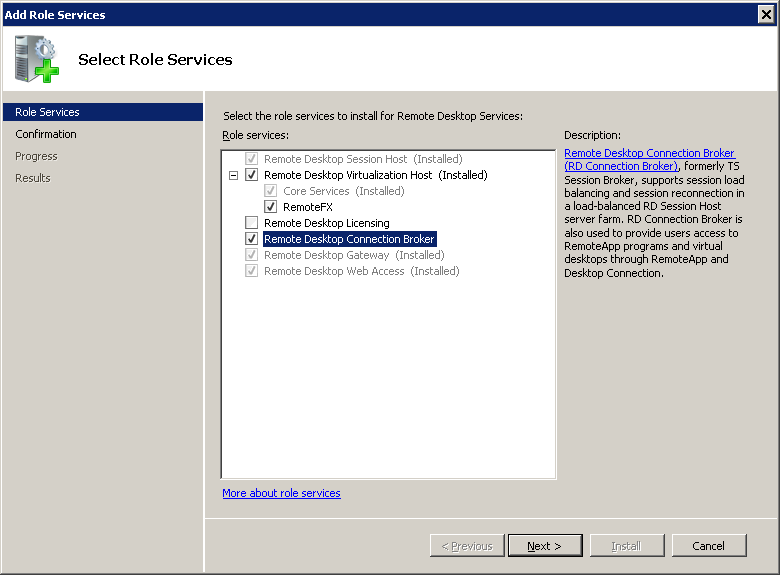 Also now it is rather easy to enable self-service usage for application administrator to author, deploy, manage and decommission applications in the private cloud. With SCVMM you can now define service templates to create sets of connected virtual machines, os images and application packages. For example you can create service template for three tier application which consist of frontend, middletier and backend. During service deployment operating images and applications can be composed. And of course if you need your virtual machines in a service to scale out, no problem, SCVMM 2012 makes this possible. And final and maybe most important feature in service management is ability to leverage great and powerfull technologies like Server Application Virtualization (Server App-V). Server App-V behaves in same manner as client App-V, so they are dynamic, “decoupled from OS” and easy to manage. 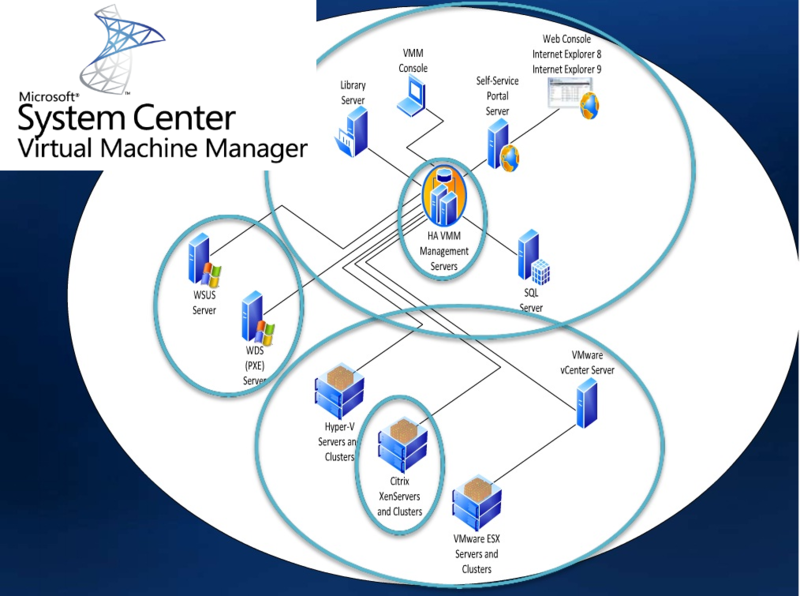 There are of course much, much more enhancements in System Center Virtual Machine Manager 2012. Check them out on technet and start your yourney to the cloud. 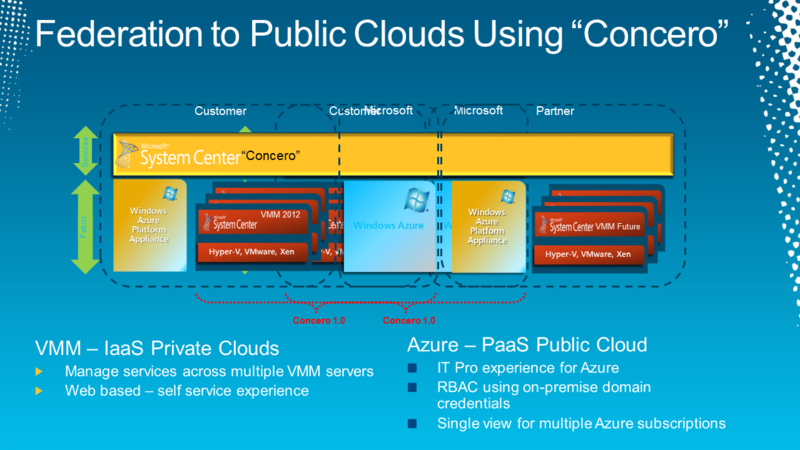 And at last Microsoft System Center Codename “Concero” preview is more then great easy to manage Virtual Machine Manager in the Cloud. 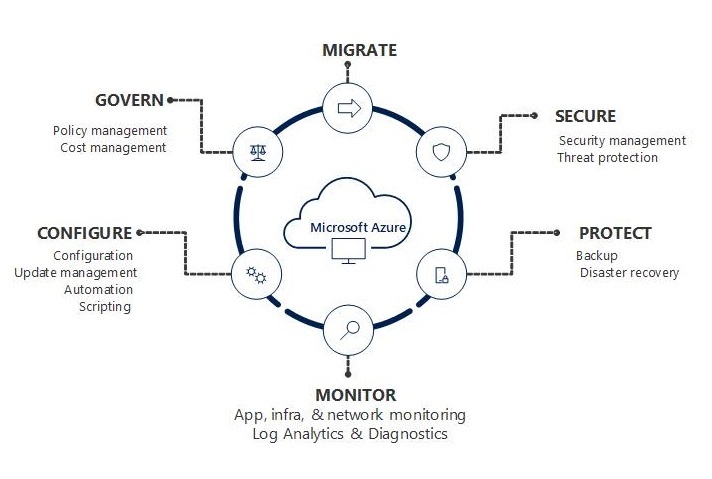 Microsoft System Center Virtual Machine Manager evolution is better then ever before, and almost every choice of the customer is possible with Microsoft virtualization technology on-premises and/or in the Cloud with Windows Azure and of course with Office 365. My compliments to the System Center team ! Categories: Azure, Hyper-V, SCVMM 2012, SCVMM2008R2 SP1, System Center 2012 App-Controller | Tags: #Concero, Azure, HyperV, SCVMM, SCVMM2012 | Permalink. Categories: SCVMM 2012, System Center 2012 App-Controller | Tags: #Concero, Azure, SCVMM2012 | Permalink. Italian YouTube movie about Microsoft System Center Codename “Concero” overview. 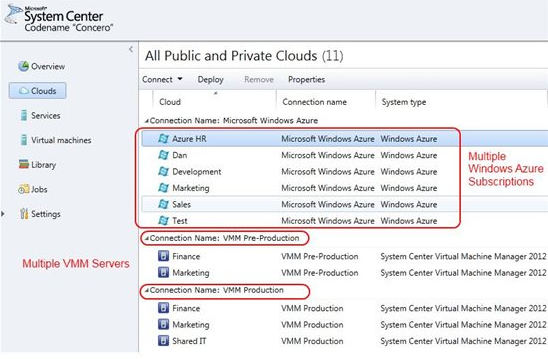 The list of top-line Concero feature includes access to resources across Virtual Machine Manager (VMM) servers, the ability to register and consume capacity from multiple Windows Azure subscriptions, and the ability to copy service templates and optional resources from one VMM Server to another. Other Azure-related features enable multiple users to be authenticated through Active Directory to access a single Azure subscription, and make it possible to copy Azure configuration, package files and VHDs from on-premises and between Azure subscriptions. Categories: SCVMM 2012, System Center 2012 App-Controller | Tags: #Concero, HyperV, SCVMM2012 | Permalink. 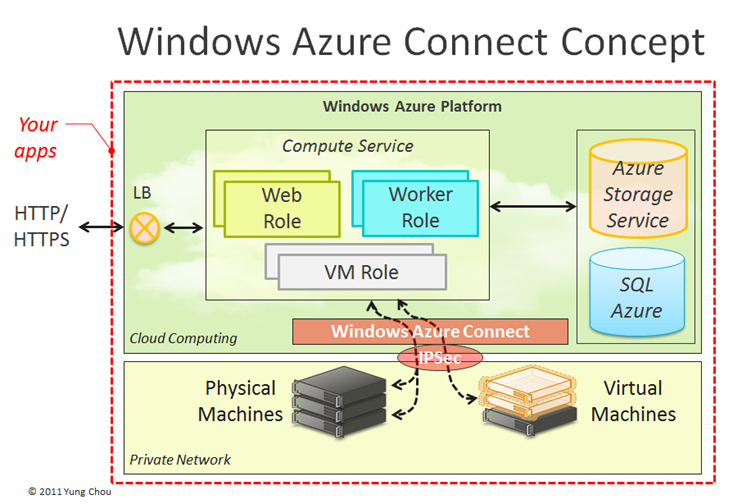 This topic explains why SCVMM2012 and Microsoft projectcode “Concero” becomes a very important tool to manage your virtual machines and applications on-premises and Cloud platform Azure. Make your domain inclusive with Microsoft Windows Azure. Categories: SCVMM 2012, System Center 2012 App-Controller | Tags: #Concero, Azure, SCVMM, SCVMM2012 | Permalink.